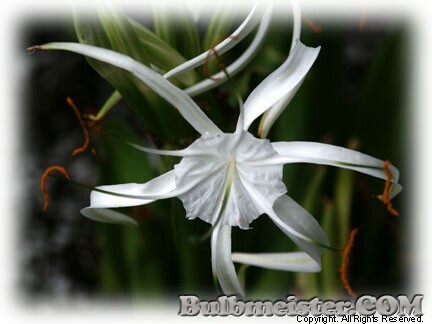 Following are methods you may use to view and purchase Bulbmeister.COM Flower Bulb products. IMPORTANT! If you wish to be notified when new lists are published please request to be added to the Contact List. 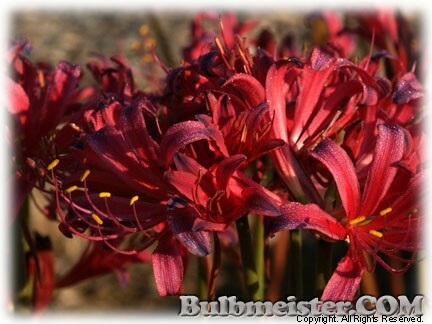 Bulbmeister.COM Flower Bulb Shop - (Just a CLICK Away!) This link takes you to the online catalogs offered by Bulbmeister.COM. From these sources you may order immediately, selecting various payment methods, including mailing payment, PayPal payment service, or any major credit card. An electronic invoice is created for you during secured (SSL) checkout, which remains available online for your reference. If you provide an e-mail address, the invoice is also sent to you. This method of catalog viewing provides the greatest advantage of convenience and direct links to related product images. No additional charge is incurred for this service. 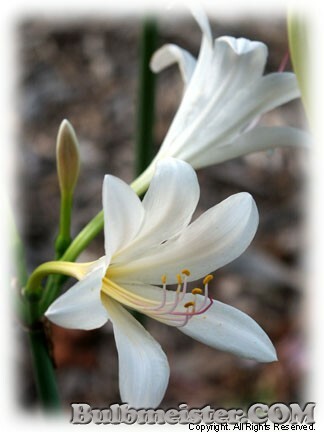 Nursery Flower Bulbs List -- This price list is available year-round (no shipping December-February) and includes a number of Lycoris (spider, surprise, magic, hurricane, phoenix, & resurrection lillies) species, some hybrids, Rain Lilies (Habranthus & Zephyranthes), and miscellaneous specialty flowering bulbs, all grown at the Bulbmeister.COM Nursery here in Northwest Arkansas. 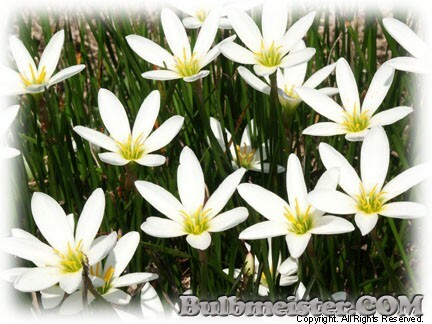 When possible, these will be freshly dug or depotted and sent bare rooted in sphagnum moss to insure freshness, even when dormant. Bulbmeister Auction Page -- Occasionally, Bulbmeister.COM will have quality nursery odds & ends for sale, including seeds. They will be offered here. Bulbmeister.COM Electronic Catalog(s) - Sales from this form of publication have been negligible, so it is being discontinued at this time. Please note that ordering online does NOT require the use of a credit card. Bulbmeister.COM Paper Catalog(s) - Sales from this form of publication have been negligible, so it is being discontinued at this time. Please note that ordering online does NOT require the use of a credit card.